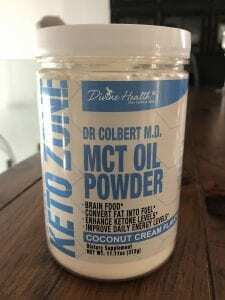 You might be hearing some buzz about MCT Oil Powder and Ketones, and how they may assist with weight loss and management. MCT oil is able to aid in putting the body into a state of ketosis. Ketones are chemicals produced in your liver. You produce them when you don’t have enough insulin in your body to convert sugar (or glucose) into energy. With MCT oil, the conversion of the ketones can help provide focus, energy and enhanced fat burn. This supplement also is proficient in appetite suppressing and keeping you full for hours. As always, the staff and Orchard Health Foods in knowledgeable and here to help you find the right supplements for your specific health and dietary needs. We look forward to speaking with you in store.